OWIT Lake Geneva - Panel discussion: Can "Equal Pay" be a reality in the companies? Panel discussion: Can "Equal Pay" be a reality in the companies? Can "Equal Pay" be a reality in the companies? Currently, the gender pay gap is 16.1 % in Europe and 15.1% in Switzerland. Many voices have asked for equal pay to become a reality - President Obama, Hollywood actors, even … Pope Francesco who said the gender pay gap is a “pure scandal”. Several governments have set equal pay as a priority and taken active measures to enforce it. In Switzerland, the government has actively supported various initiatives both from the public and the private sectors and is working on a law to enforce control for companies. The presentation will allow discovering the EQUAL-SALARY certification requirements, benefits and potential pitfalls. Founder & CEO of the EQUAL-SALARY, the certification of equal compensation for women and men. Véronique is a born entrepreneur. She gets a kick out of developing ideas and setting them up as businesses. She holds a Master Degree in Economics from the University of Geneva. She is married to David, a Dutchman who has always fully supported her ideas and dreams. Véronique's energy is kept alive thanks to nature from which she is never far. She is a member of BPW Switzerland, Club Lausanne. In 2009, she had the honor and pleasure to receive the BPW LENA Award for her contribution to equal pay. In 2015, she was awarded with the WIN Empowering Women Worldwide award. Véronique has a daughter and a son, a grandson and two granddaughters. Since her wish is to have them grow up in a "equal pay world", each new certification has a special meaning to her. Diversity & Inclusion Manager at Philip Morris International, first EQUAL-SALARY certified multinational company in Switzerland & Japan, will describe how PMI has taken on the challenge and their next objectives. Laetitia started her career in international private banking at Credit Suisse before spending several years at the Vaud Chamber of Commerce (CVCI) where she developed a new department called International Linkwhich was dedicated to the integration of international companies and their foreign employees. During this time, she also co-founded the International Dual Career Network (IDCN), which is a non-profit association formed through the collaboration of companies, NGOs and academic institutions with the purpose of facilitating the job search for mobile employees’ partners, and providing member companies access to a turnkey pool of talent. 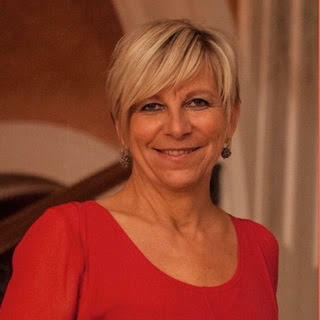 Laetitia also benefited from an experience as Head of Corporate Communications at the Ensemble Hospitalier de la Côte and finally, joined Philip Morris International in 2013 as a Global Diversity & Inclusion manager. In this current position, she works on multiple projects with the objective to sustainably foster a more diverse and inclusive corporate culture. She studied in four different countries and owns a CAS in Corporate Communication as well as three Masters in Political Science, International Employment Relations & Human Resources and European Labor Studies.